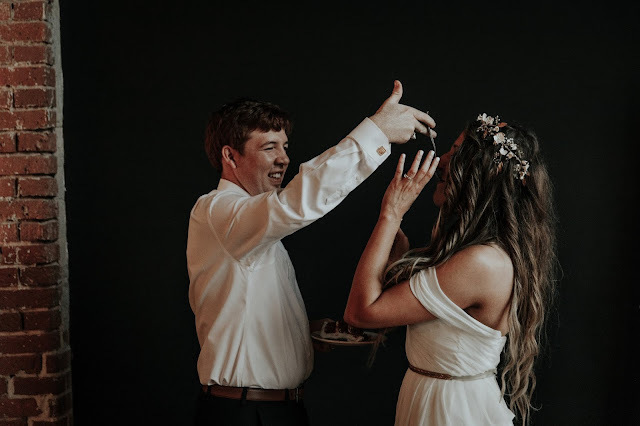 As a dessert lover, I always get excited to stand in line and try a slice of the wedding cake! Often times it is yummy but not super memorable. I knew I wanted the wow-factor. 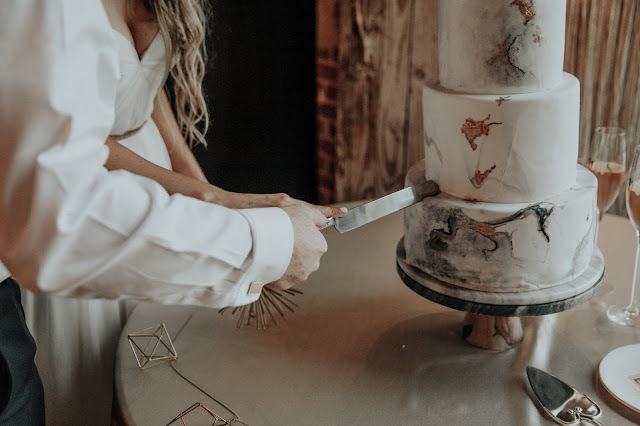 I never had an exact vision for my wedding cake, until I came across Cakesmith's Instagram page. 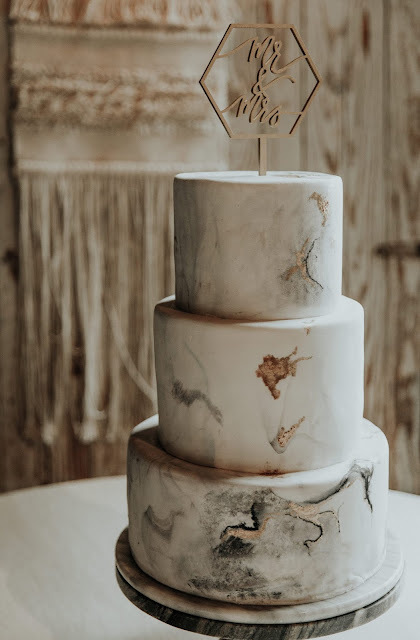 Michal of Cakesmith is a true artist. 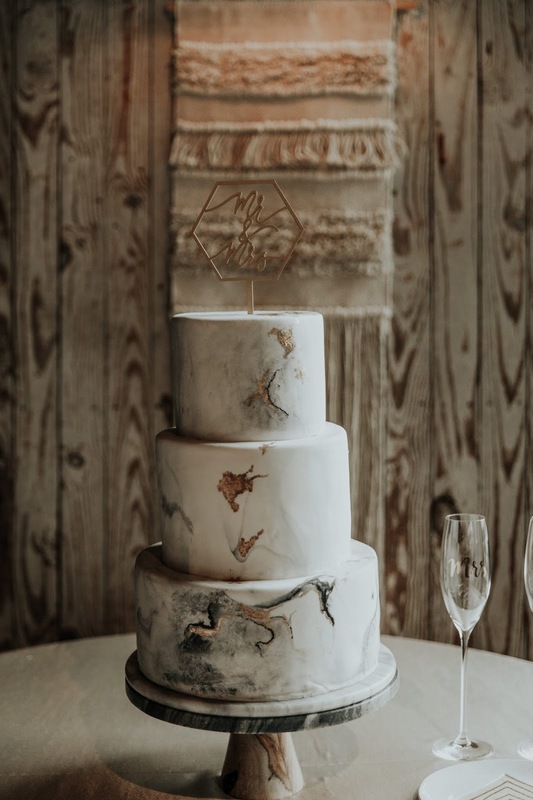 I admired her perviously designed marble cakes as well as effortlessly-placed gold flecking and I instantly knew I wanted her work displayed on my wedding day. The only thing that could make it better was the taste. My husband and I went to our tasting in a cute studio office in downtown Greenville and we were blown away... so much so, we had a hard time choosing which flavor(s) to pick because they were all incredible. We finally narrowed it down to three flavors. Our main cake, a beautiful three tier marbled work of art, was red velvet with triple cream cream cheese frosting. 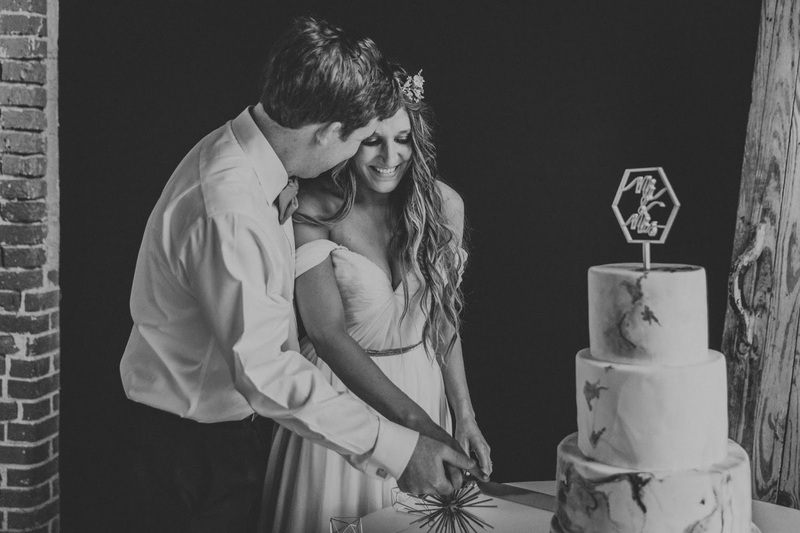 Our main cake served approximately 80 guests. We also had two sheet cakes (a wonderful option for offering more flavors to guest as well as helping the bottom line if you have a medium to large size wedding). 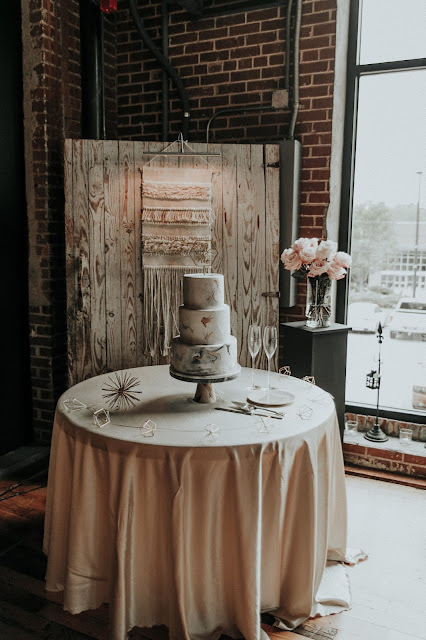 Our two sheet cakes were: almond buttercream with amaretto glaze + cream cheese frosting and chocolate truffle with chocolate mousse filling. 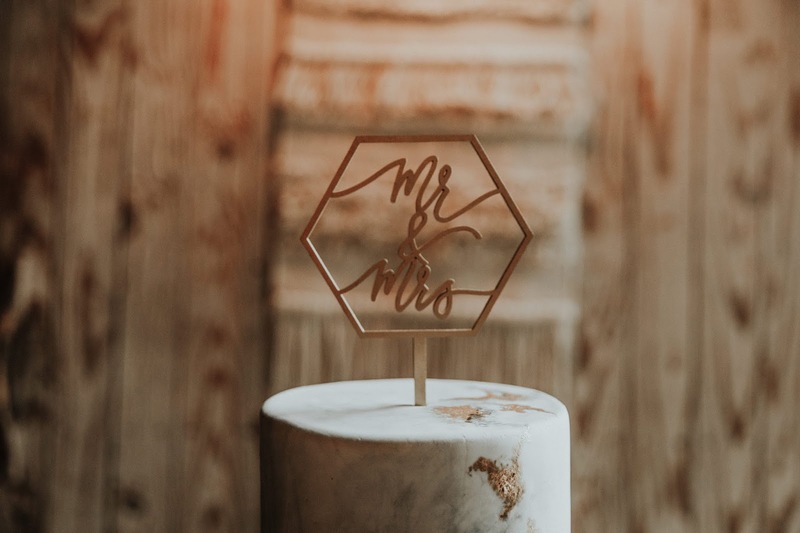 We finished off our cake with a gold hexagon cake topper via Etsy. 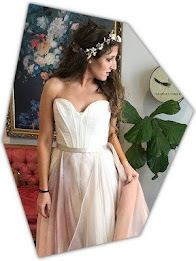 Also, see my previous "Wedding Wednesday" posts HERE.